My OEM IRC tires were not quite done yet, but I wanted to try something else. Some of the options (like Kenda K270s) that were recommended by Rally and 250 L riders were not easily available in my neck of the woods so I opted for the Pirellis. I almost went for the Heidenau K60s because of their durability, but the pattern was not “agressive” enough. I’m assuming the Pirellis will wear out much faster than the Heidenaus, but the expense is not that big of a deal. Dual sport tires are relatively cheap compared to street bike rubber. I will update my impressions on the tires once I get some miles with them.  Next Post Honda CRF 250 Rally tire choices – help out and submit yours! My owner’s manual on the Honda CRF250 Rally 2017 says it has tubeless tires. That’s hard to believe because of the spokes, but the manual states it crystal clear. Interesting. While one can install tubeless tires on the bike, inner tubes are a must. There is no way you can run without inner tubes without modifications to the stock rims. Thanks a lot. Now I’ve got it. The tires are of the tubeless type , but nonetheless the motorbike has got tubes in it. That was a misunderstanding of the manual on my side. By the way: Yours is the most interesting site dealing with the Rally, I’ve ever seen. Thanks für the good work, buddy! The difference between a tubeless or a tubed tire is the bead construction. Rubber itself is the same. From the factory the Rally comes with a tubed IRC tire and you can see it on the side of the wall of the tire. If it says “tubed type” then it’s tubed, otherwise it would say “tubeless”. Any experience with the Pirelli in the sand? Did some single track riding the other day and the stock tires were really wallowing and seeking in the sand much more than I expected. I was considering trying to go a little wider, but I’m already a heavy rider for this bike and not keen on adding too much weight to the tires. If it’s sand with hard underground then it’s alright provided you ride fast (as you should in sand anyhow). If it’s beach kind of sand, deep and soft, then it becomes very hard for the motorcycle and it will start overheating after a while, but with the motorcycle of this weight to power ration it’s expected. Of course the handlebar can still wobble from time to time, you won’t go as on rails in sand with this motorcycle. Mostly dictated by the geometry I guess. I’ve put plenty of miles on MT21’s with good results. I’ve used them on a street legal WR400, KTM 450 EXC, KTM 640 Enduro and KTM 640 Adventure. They’re great off road tires.